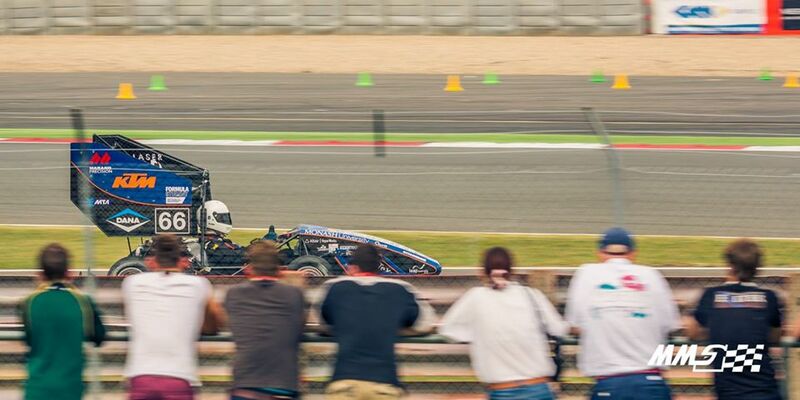 We are pleased to announce that long term partners of LEAP Australia, Monash Motorsport, have achieved a very respectable fifth place overall in the 2014 Formula Student Competition at Silverstone in the UK. Among the awards presented at the competition was one for the best use of virtual methods to achieve vehicle targets which was won by Monash Motorsport. With their advanced use of ANSYS CFD Tools for external and internal aerodynamics, as well as ANSYS Mechanical to evaluate part strength and performance before manufacture, Monash Motorsport has always placed a high emphasis on the use of computational tools as a means to achieve top results. Receiving the award was a testament to the hard work that the team members had dedicated to the project, and indicative of the value that motorsport engineers place on simulation tools. LEAP congratulate Monash Motorsport on their successful 2014 campaign, and look forward to working together in the future. The team behind this outstanding result is currently preparing for the upcoming Formula Student Competition in Germany, for which LEAP wishes them the best of luck.